The revenue is not as good as the leader! Why did SOHO China fall behind in ten years? In the SOHO China operated by Pan Shiyi and Zhang Xin, the indicators of operating income, asset size and net profit in recent years may have stagnated or drastically declined, especially since sales have been nearly zero for several consecutive years.Compared with many private real estate developers whose business is advancing, this prestigious company has now been sold out of N streets. After the short-term operation of the residential market, SOHO China transformed into the commercial real estate market, and relied on the explosive product SOHO to make a name in Beijing and Shanghai, and entered the capital market smoothly, until it entered the forefront of the industry.The differentiated strategy of precision focusing market segments has become the key to the reputation of SOHO China.However, SOHO products with their own differentiated features have also laid the groundwork for some of their peers. In terms of financial strategy, SOHO China is also not conservative.With the increase of market concentration, the survival and competition logic between housing enterprises has quietly changed. Under this background, SOHO China has embarked on a completely opposite route to mainstream housing companies, reducing scale and increasing profits.The trade-off between size and profit eventually led to its significant dropout. Although from the market value performance, SOHO China's transformation is recognized by the market, but the wealth of Pan Shiyi and Zhang Xin both have a world of difference with many of their peers who started at the same time.If you return to 2012, will you make the same choice in the face of leverage and leverage? The feng shui of Wangjing SOHO has now become a talk of the entrepreneurial circle. In December 2018, Wangjing SOHO sued a self-media called "God Club." The incident was due to the fact that this company, which had been invested by the Equity Joint Venture and has been closed, is now shutting down. According to an article published on November 11, 2018, the four major feng shui taboos appear in Wangjing SOHO at the same time. In the initial development of the enterprise, once it reaches the middle and late stages that need to be stable, it will be defeated, and cited the enterprises such as Mo Mo, Panda TV, A Station, and Small Blue Bicycle. 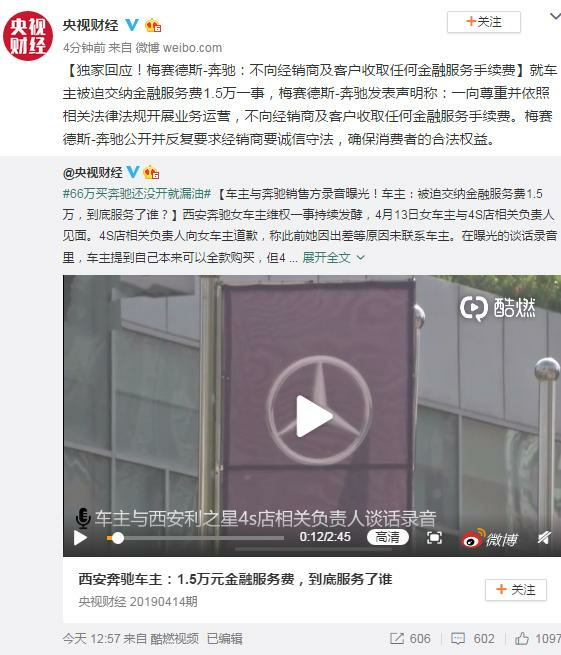 On March 19, 2019, SOHO China (00410.HK), the developer of the Wangjing SOHO project, issued a "Additional Statement on Wangjing SOHO v. The Media "God Club", requiring the defendant to apologize and eliminate the impact. And compensate for the corresponding economic losses. The matter was once again on the Internet. Feng Shui said whether it affects the occupancy rate of Wangjing SOHO. There is no data to support it. However, overall, SOHO China, which has developed this project, has experienced a sharp decline in its operating performance in recent years compared to the peak of 2010 and 2011.Especially in comparison with many of the peers who started at the same time, many of the company's prestigious companies are now eclipsed by many performance indicators. According to the latest 2018 annual performance data, SOHO China's operating income was 1.721 billion yuan and its net profit was 1.925 billion yuan. Compared with its peak income of 18.423 billion yuan in 2010 and net profit of 10.585 billion yuan in 2012, its operating income has shrunk by more than 90% and its net profit has shrunk by at least 80%. When the hour handed back to 2007, SOHO China, which was listed on the Hong Kong stock market, set the largest IPO record of commercial real estate in Asia that year, and once became the most attractive company in China's real estate industry. In the following years, SOHO China's performance has grown by leaps and bounds. According to some media reports, Zhang Xin, CEO of SOHO China, even internally stated that “it is necessary to surpass Vanke within five years”. Fighting the stars, the gods get people.Vanke Group (000002), which used to have only 4 times its own assets, has already become a giant in the industry. SOHO China has a body volume of only 67 billion yuan, which is far from the former 1.43 trillion yuan. In just one annual ring, real estate peers have been eagerly awaiting the sales scale of 100 billion yuan and transforming into giants. The old-fashioned SOHO China has been eclipsed and disappeared in the major real estate rankings. The data shows that many of SOHO China's indicators have been smothered by Country Garden (02007.HK), Vanke Group, China Evergrande (03333.HK), Sunac China (01918.HK) and other leading companies in the private real estate circle. Street is far. In 2018, SOHO China's operating income was only 1.721 billion yuan, while the first echelon's Country Garden, China Evergrande and Vanke were in the same scale of 100 billion, at least 170 times. Compared with the 467.814 billion yuan of China Evergrande, the highest revenue earner, SOHO China's income is not only nearly 272 times, or even a fraction of its income (Table 1). In the second echelon of the real estate industry, R&F Properties (02777.HK), which is in the same commercial real estate sector, has a business scale of at least 40 times that of SOHO China.Compared with the relatively small scale Longhu Group (00960.HK), SOHO China's operating income during the same period is not a fraction. Since 2015, SOHO China’s operating income has been between RMB 1.0 and 2.3 billion. The business scale of one or two billion yuan is in the real estate industry of hundreds of billions, not to mention the leading enterprises in the industry.Taihe GroupSmall and medium-sized private real estate companies such as Kaisa (01638.HK) and Baoneng Real Estate can easily cover a project, which is not enough. A few years ago it was another scene. In 2007, SOHO China's business scale of 7.044 billion yuan, although the gap between Vanke Group's 35.527 billion yuan and Country Garden's 17.749 billion yuan is more obvious, but in 2009, SOHO China's revenue reached 7.529 billion yuan, and 5.731 billion yuan. China Evergrande, 4.796 billion yuan of Sunac China, still has to be significantly better than the other. In 2010, SOHO China's operating income reached 18.423 billion yuan, and 15.15 billion yuan of Longhu Group and 6.66 billion yuan of Sunac China were under pressure.It can be said that in the private real estate circle like the cloud, SOHO China is still a far-reaching leader 10 years ago. The data also shows that in the early stage of development, SOHO China's net profit scale is among the best in the industry, and its multi-billion, nearly 10 billion net profit scale has been proud of private property for many years (Table 2). In 2009, although SOHO China's business scale was 7.529 billion yuan and the asset scale was 37.756 billion yuan, compared with Country Garden's business scale of 17.626 billion yuan and asset scale of 63.699 billion yuan, SOHO China's net profit was 3.3 billion yuan, far exceeding Country Garden. The same period was 2.08 billion yuan.Roughly speaking, before 2013, only a few leading companies such as Vanke Group and China Evergrande could compete in the net profit scale of SOHO China. However, since 2015, SOHO China's net profit has plummeted to single digits, and it has gradually drifted away from the steady growth of its net profit. In 2017, SOHO China became the real estate company with the bottom line of net profit in Table 2. The disparity in asset size is equally obvious.In the past 10 years, the scale of assets of real estate enterprises has generally maintained steady growth, and the scale of asset expansion of leading enterprises has been even more shocking.SOHO China is not only difficult to compare with its peers, but its near-stagnant asset growth is also rare in the industry. As can be seen from Table 3, the assets of SOHO China started from RMB 23.458 billion in 2007 and reached the peak of 80.478 billion yuan in 2012. After that, it has been hovering around RMB 600-70 billion for several years. In sharp contrast, China Evergrande, with an asset size of 63.071 billion yuan in 2009, reached an asset scale of 1.35 trillion yuan in 2016. In 2007, Country Garden, with an asset scale of 38.634 billion yuan, also won a trillion yuan asset scale in 2017. Up to now, the assets of Country Garden, China Evergrande and Vanke Group are all in the trillion scale, and Sunac China, R&F Properties and Longhu Group have all reached more than 360 billion yuan. In summary, after nearly one round of development, real estate companies have generally achieved significant expansion. In the private real estate rivers and lakes, Vanke Group, Country Garden and China Evergrande are in the industry to present the trend of “three rides”.However, when the peers are fiercely expanding, SOHO China, which is also a private housing company, has stagnated its indicators such as operating income, asset size and net profit scale in recent years, or has fallen sharply. Lopsided. As the most innovative industry in recent years, the real estate industry has produced countless heroes. In 2015, Wang Jianlin surpassed Li Ka-shing to advance to the Chinese “richest man”. In 2018, Xu Jiayin and Ma Yun and Ma Huateng entered the top three in the list of the richest Fortune 500. Xu Jiayin sat in the “richest man” in the real estate industry in China. At the beginning of this century, Wang Jianlin just decided to join commercial real estate. In a sense, SOHO China's entry into the commercial real estate industry is roughly equivalent to the former. As a former real estate leader, SOHO China Chairman Pan Shiyi and CEO Zhang Xin and his wife also ranked 235th in the “New Fortune 500 Rich List” with 11.3 billion yuan of assets, but in 2018 the two have disappeared from the list. single. Undoubtedly, from the data point of view, SOHO China has fallen behind in the same year. Why is SOHO China falling behind? When did you start to fall behind? The most amazing thing about its business data is the change in sales. We may be able to get a glimpse of it from here. According to the list of sales of housing enterprises compiled by Kerry, in 2010 SOHO China entered the 15th list of its list with sales of 23.8 billion yuan (Table 4). The sales scale exceeded the 22 billion yuan of the central government China Resources Land in the same period. This is also the highest ranking of SOHO China sales. Overall, SOHO China's sales are similar to Longhu Group's 33.3 billion yuan in the same year, Country Garden 32.9 billion yuan, and R&F Properties 32.2 billion yuan. In 2011, SOHO China entered the TOP50 list of the real estate industry with a sales volume of 11.6 billion yuan, ranking 36th in the industry. Table 4 shows that Country Garden, China Evergrande and Vanke Group are in the top spot in the competition. The rankings of rising stars such as China and Longhu Group are also rising rapidly, and the sales expansion capability cannot be underestimated. As of 2018, Country Garden sales exceeded 700 billion yuan, Vanke Group exceeded 600 billion yuan, and sales of more than 500 billion yuan were respectively Country Garden, Vanke Group, China Evergrande; more than 400 billion yuan, respectively Sunac China and Poly Development (600048). The threshold for sales of TOP100 is 20.4 billion yuan, and the threshold for sales of TOP200 is 5.1 billion yuan for Xiaolong Group. According to statistics from Kerry, 30 real estate companies entered the “100 billion” club in sales in 2018.In addition to SOHO China, the sales volume of the seven real estate companies in Table 4 has reached 100 billion. SOHO China, which has been in the leading position in the industry, has quickly fallen behind since 2012, until it disappeared from the list of Cree.By 2015, SOHO China “has almost no home sales” and its sales are basically close to zero.This situation has continued to this day. According to Wind data, from 2015 to 2018, SOHO China's property investment sector accounted for 105.76%, 95.77%, 85.05%, and 96.02%, respectively, while the property development and sales segment accounted for only -5.76% and 4.23% of the same period. 14.95%, 3.98%. Obviously, except for 2017, SOHO China's property development sales revenue does not exceed 68.5 million yuan, which is very small. What happened in 2012, making SOHO China's income structure so different? From the statement in the annual report, since 2012, SOHO China has undergone a business transformation, from the “development-sales” model to the “development-holding” model, with its main source of income shifting from selling to renting. This is not the first transformation of SOHO China. If you start from the establishment of SOHO China by Pan Shiyi, you can see that SOHO China has experienced two business transformations so far.The first time was the conversion from real estate development including residential to commercial real estate development. The second time was further changed from selling commercial real estate development to holding development, and the business shrank step by step. In the early 1990s, Pan Shiyi, who returned to Beijing from the “real estate speculation” in Hainan, together with Feng Lun and others, founded Beijing Wantong Industrial Co., Ltd. (hereinafter referred to as “Wantong Industrial”) to enter the Beijing real estate market. But after a short partner, Vantone Liujunzi finally chose to establish a separate portal. In 1995, after the "separation", Pan Shiyi was divided into 1 million yuan and began the road of independent entrepreneurship. From the start of the business in 1995 to the peak of performance in 2012, the days of SOHO China's growth have lasted for about 18 years. Today, SOHO China, known for its commercial real estate, is a residential estate.In 1999, SOHO China's predecessor Beijing Hongshi Industrial Co., Ltd. (hereinafter referred to as “Hongshi Industrial”) invested in the first project “Modern City”, with a total construction area of ​​480,000 square meters. Since then, SOHO China has successively developed projects such as the Commune at the foot of the Great Wall in Beijing and the Bohai Blue Coast at Hainan. Overall, these projects have achieved good results.However, SOHO China quickly abandoned the residential real estate market and moved to commercial real estate. This is also its first transformation. SOHO China's post-transition project “Jianwai SOHO”, the open space and design style is unique in Beijing at that time, and is called “the most fashionable living window” in Beijing. In the propaganda film of the closing ceremony of the Athens Olympic Games, “Jianwai SOHO” also appeared as the architectural image of the new Beijing to the world. In May 2002, the project was released for sale. As of June 2004, Jianwai SOHO registered sales reached 6.05 billion yuan, accounting for 45% of the total sales of 10 projects in the CBD area of ​​134 billion yuan, and the performance was remarkable. As SOHO products are popular in the market, SOHO China has launched four multi-period “Jianwai SOHO” and launched four explosion products through acquisition and self-built.In March 2004, SOHO China spent RMB 1 billion to acquire the second and third phases of Huayuan Shangdu International Center, and later named it “SOHO Shangdu”. In June of the same year, SOHO China participated in the bidding of the first publicly traded land in the Beijing CBD, bidding 710 million yuan to win the bid to create the later “SOHO”. In December 2006, SOHO China successively built “Sanlitun SOHO” and “Guanghua Road SOHO”. With 5 major star projects and sales of more than 4.2 billion yuan, SOHO China's transcripts are beautiful.Popular products, clear business models, beautiful business stories, SOHO China is going to the capital market. In October 2007, SOHO China was listed in Hong Kong, creating the largest commercial real estate IPO in Asia. After the IPO, sales of SOHO China continued to grow.In July 2008, the sales volume of the “Sanlitun SOHO” project reached 4.1 billion yuan, setting a one-day transaction record for Chinese real estate at that time, and also set a miracle in the property market during the “financial crisis”. In 2010, the “Galaxy SOHO” opened in the middle of the year created an amazing performance of 2.77 billion yuan in just three days. As of the end of the year, the project sold 81%, achieved sales of 14.6 billion yuan, and the unit price per square meter was nearly 70,000 yuan, winning the single-sales sales champion in Beijing. At the same time, SOHO China's expansion is also fast-moving, and it launched external mergers and acquisitions based on self-built projects. Since 2007, SOHO China has expanded at a rate of at least two projects per year, and the “two-legged” walk has continued for about six years (Table 5).In 2009, SOHO China took the “Big Base Camp” in Beijing for the first time and entered the Shanghai market by acquiring the unfinished building to build SOHO Donghai Square. In that year, SOHO China acquired a total of four projects, one in Shanghai and three in Beijing. The following year, SOHO China re-acquired four projects, the difference is that three of them are in Shanghai and one is in Beijing. The Shanghai market has gradually become another strategic focus of SOHO China. By 2011, SOHO China had as many as six acquisitions. The “self-built + acquisition” parallel model has enabled SOHO China's sales scale, operating income and asset size to grow rapidly (Table 6). In 2010, SOHO China's operating income reached 18.423 billion yuan, equivalent to 2.6 times in 2007. In 2012, its net profit reached 10.585 billion yuan, equivalent to 5.38 times that of 2007. In the same year, its asset size reached 80.478 billion yuan. Compared with the listing in 2007, it has nearly rebuilt 3.5 SOHO China. As shown in the data in Table 1-4, from 2010 to 2012, from the main financial indicators, SOHO China has stepped into the leading position of the private real estate circle and has a pivotal position in the industry. With the gradual release of performance, SOHO China's share price, which was hit hard by the 2008 financial crisis, has gradually recovered and steadily increased. 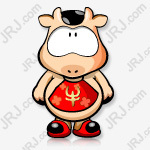 From 0.86 yuan/share in October 2008 to 3.17 yuan/share in July 2011, it has risen up to 33 times. month. Looking back on the growth trajectory, SOHO China's entrepreneurial process is considered to be smooth and beautiful. After a short period of operation in the residential real estate market, SOHO China relied on a SOHO series of commercial real estate products to sweep the market. It became famous in the Beijing-Shanghai commercial real estate market and became a breakthrough in the capital market.With the help of capital, SOHO China launched acquisition and replication projects and made large-scale masses until it entered the forefront of the industry. The SOHO product model is impeccable. Designed by Western designers, the SOHO project is full of sunshine, pure wood space and minimalist architecture. It has a Western-style middle class and is highly sought after by the middle class in the first-tier cities. SOHO products not only coincide with the needs of the rapidly expanding middle class, but more importantly, this strategic positioning, to avoid a large number of real estate competitors. In addition, SOHO China's projects are located in the center of the city, which is quite different from the positioning of most real estate developers “town recreators” at that time. It can be said that SOHO products are distinctive in the real estate market and unique. To sum up, the differentiated strategy of precisely focusing on the market segment is the key to the rapid rise of SOHO China. SOHO China is well-known in the real estate market, and it is also related to Pan Shiyi and Zhang Xin's “celebrity marketing”.Unlike many private real estate entrepreneurs, Pan Shiyi and Zhang Xin often appear in the spotlight. Personal life is frequently displayed in fashion magazines and is recognized as a “frequent visitor” to social and online.After the development of “Jianwai SOHO”, this pair of couples who often launched various high-end art and architecture salons quickly became one of the most famous real estate developers in China. According to the data, as of the end of 2007, “Pan Shiyi’s blog page recorded more than 41 million views, and he became the most viewed commercial blogger in China”. SOHO China said on the official website that "Zhang Xin's successful entrepreneurial image and personal struggle history have made her an internationally recognized symbolic figure in China's economic development. As a microblogging celebrity, she has more than 10 million fans." Due to the high-end positioning of SOHO products, the celebrity effect of Pan Shiyi and Zhang Xin has objectively increased the exposure of SOHO China, which is beneficial to the company's marketing. The two are worthy of complement each other.Cai Hongping, the underwriter of SOHO China's IPO project and the current chairman of UBS Investment Bank China, said, “SOHO China is very different from Country Garden. Its land reserve of only 1 million square meters is far lower than the latter. But combined with the celebrity effect of Pan Shiyi and Zhang Xin SOHO is defined as – China's largest brand commercial real estate developer, changing the values ​​of investors.”In essence, Pan Shiyi and Zhang Xin's distinctive marketing methods are also behind the phenomenon of differentiated thinking. In fact, Pan Shiyi’s earlier departure from residential real estate and the rapid transfer to commercial real estate showed his differentiated strategic thinking. In introducing its transformational logic, SOHO China pointed out that “in the past 10 years, tens of thousands of real estate companies in China have invested 100% of their energy and resources in residential real estate, and housing has become synonymous with the real estate industry. In the process of urbanization, people entering the city not only Need to live, but also need business and office, but no developers to study this demand feature... Three years ago, SOHO China transformed resources into market-scarred office and commercial real estate development. "In Pan Shiyi's view, residential real estate is a fiercely competitive Red Sea market. SOHO China chose to take a different approach and enter the blue ocean market at that time. In August 1999, dozens of sales personnel of the "Modern City" project were dug up by Hong Kong people Deng Zhiren. As a well-known real estate trader, Deng Zhiren deliberately held a press conference to declare that "Modern City" has collapsed and incited customers to check out. Pan Shiyi will later dig a high-paying four-detailed director of Hyundai City! The open letter of the article was published in Beijing in the form of advertisements. The event was fermented and called the annual Super Real Estate News. Since then, the modern city of famous earthquake has sold very hot. The project's sales in 1999 reached 1.89 billion yuan, exceeding the annual sales performance of many real estate companies. Pan Shiyi was blessed with blessings, fame and fortune, and all over China.A consistent approach to business operations may be the embodiment of Pan Shiyi’s business talent. Or just as it is, SOHO China has a high premium in the market, showing a significantly higher profit margin than its peers. According to Wind data, from 2007 to 2013, SOHO China's gross profit margin ranged from 48.03% to 58.85%. This index far exceeds the gross profit margin of Country Garden, China Evergrande, and Sunac China, and the peers are between 25% and 40%. Vanke Real Estate, a leading real estate company with a strong brand advantage, has a maximum of 41.99% in the same period, and it is hard to hope for it. SOHO China was unparalleled in the real estate industry at the time, making its profit margins unmatched by its peers.It can be said that SOHO China is one of the most profitable companies in the industry. If you continue the original path expansion, today's SOHO China may be another situation. However, this is not the case.Since 2012, SOHO China has started its second transformation, from a heavy asset to a light asset model. Under this strategy, SOHO China's operating income and net profit are mainly derived from rental income. After completing the acquisition of two projects in Shanghai Gubei Hongqiao and Beijing Lize, SOHO China has continued its expansion road for about six years. In 2012, SOHO China proposed “to insist on doing commercial real estate, only in the first-tier cities”, from “development-sales” to “development-holding” mode. From the perspective of the industry background, real estate regulation and control continued to escalate in 2010, and the purchase restriction policy that has continued to this day began at this time. In 2011, SOHO China's operating income was only 5.961 billion yuan, a 60% year-on-year decline. Under the control, a number of residential developers have turned to commercial real estate, and the concept of REITs, which is mainly based on rent collection and operation, has also become popular in China. As a result, SOHO China quickly changed from a “buyer” in the real estate market to a “seller”.At the beginning of 2014, SOHO China made a price of 5.23 billion yuan.Financial streetTwo assets were sold, 168,000 square meters in Helen Square and 76,000 square meters in Jing'an Square. In September of the same year, SOHO China sold 570,000 square meters of properties to Ctrip Holdings for a price of 3.05 billion yuan. From 2014 to 2017, SOHO China sold assets for four consecutive years, with a total value of more than 28.65 billion yuan. Due to the transition to “development-holding”, SOHO China's sales in 2013 dropped sharply from the previous period of 9.468 billion yuan to 4.687 billion yuan. By 2015, there was almost no home sales and the sales team was disbanded. And, since there is no new project or land development after 2013, SOHO China is rapidly slimming down. Since the beginning of 2016, SOHO China's assets include only 11 projects, about 1.7 million square meters of Beijing and Shanghai office buildings. As of the first half of 2018, SOHO China has 8 completed projects (4 in Beijing and 4 in Shanghai), and 2 projects were completed in 2019. The completed projects have been leased at present, and the occupancy rate has reached more than 92%. SOHO China's current operating income and net profit are derived from rental income. Under the rent collection model, SOHO China has created the “SOHO3Q” project.. Beginning in 2015, SOHO China launched a new office space called “SOHO3Q” with its own property to launch a new office space in the “sharing economy” era. It is said that SOHO China has opened 26 SOHO3Q centers in its self-sustaining properties. SOHO3Q has been regarded by the outside world as a representative of SOHO China's transition from heavy assets to light asset models. However, on January 29, 2019, at the 5G strategic signing ceremony jointly held by SOHO China and China Telecom (000728) Beijing Company, Pan Shiyi told the media that as of the end of 2018, the scale of SOHO3Q was not up to expectations. "Our 3Q did not complete the task. It originally planned 50,000 seats, and now it is more than 30,000." Under the rapid transformation of business strategy, SOHO China's business scale, net profit scale, and asset-liability indicators also contracted rapidly, but the profitability of the same period soared. The data shows that SOHO China's operating income in 2015 was 1.404 billion yuan, less than 10% in 2013; the net profit in the same year was 538 million yuan, equivalent to 7% in 2013. At the same time, however, SOHO China's gross profit margin has risen rapidly from around 50% to over 73%. Its asset-liability ratio fell to around 47%, and its net gearing ratio was only about 2.6%. The rapid transformation of SOHO China has made the market quite puzzled. From vigorous expansion to severe contraction, the sudden change of style has directly made SOHO China out of the leading camp of the real estate industry, and it has become a turning point with its peers. So why is SOHO China doing this? As shown in Table 5 shows that in 2008, SOHO China projects sales price hovering at more than 50,000 yuan / square meter, last up to several years. Despite the increasing number of sales items, the average selling price has not increased significantly.This data reflects that SOHO China's focus on commercial real estate, supply continues to grow, and product demand space is stagnant, "ceiling" began to appear.However, under the stimulus of the acquisition, the prosperity of SOHO China is still continuing, and the pace of the recession is slightly behind. In fact, in the past ten years, SOHO China's focus on commercial real estate, growth and housing market is not the same. Since local governments tend to drive the economy through industry, the supply of commercial land is much higher than that of residential buildings. As the city continues to develop, regardless of office buildings or retail shops, supply is greatly increased, and oversupply is in the market. Many cities are ubiquitous. And if a developer "insist on doing commercial real estate development only in the first-tier cities," meaning that it should continue to take to heart in the first-tier cities, not only costly, but fewer opportunities, it will undoubtedly lead to a limited supply of its products. Data show that, SOHO China's portion of land by tender won, but the acquisition is not made in the form of a minority. According to the middle finger Institute (CREIS) data, in June 2004, SOHO China with 710 million yuan a win Beijing CBD block, floor price of 6499.91 yuan / square meter. Its September 2009 at a cost of 4 billion yuan won Wangjing, Chaoyang District B29 project land, the floor price of 10197.19 yuan / square meter. September 2013, SOHO China Beijing International Trust and together won the Beijing Fengtai District Lize financial business district a block, floor price reached 15,500 yuan / square meter. In April 2013, SOHO China won the Gubei 5-2 plot in the golden section of Shanghai Hongqiao with a total price of 3.19 billion yuan. The transaction floor price was 302.44 million yuan / square meter, and the premium rate was 48.37%. Not only is it difficult to recruit and sell land, but the high floor price is superimposed on the land deed tax, plus the Jian'an tax and financial management costs. The cost price of SOHO products can be imagined. Although the SOHO product with its own differentiated features has become a weapon for Pan Shiyi to quickly cut into the real estate market, sugar cane has no sweetness.SOHO China's projects are concentrated in Beijing and Shanghai. The product structure is single and the market is quite concentrated. The risks behind the prosperity are obvious. At the same time, SOHO products pursue the individualization and creativity of building products, and at that time most real estate pursued the standardization and unity of products. This may objectively determine the difficulty of copying SOHO projects and models, which is much higher than that of peer companies. After the IPO, the popular SOHO China has been treated with many second- and third- and fourth-tier cities. The local government has extended its olive branch and invited it to invest in the best locations and projects, including residential and commercial real estate. But in the end, SOHO China and China's huge second- and third-tier cities have missed the market. It can be said that since the beginning of the implementation of the differentiation strategy of SOHO China, it has laid a foreshadowing to some extent for its backwards.As stated by Michael Porter, the father of competitive strategy, “the implementation of the differentiation strategy itself will be in conflict with the campaign to gain a larger market share”.SOHO China's differentiation strategy is destined to a conservative route. When SOHO China's growth was constrained by many parties, its peers triumphed by adding leverage. Through the perspective of the history of industrial change, it may help to understand the impact of this transformation of SOHO China. Figure 1 shows that from 2007 to 2017, the business scale curve of real estate enterprises gradually evolved from (aggregation) convergence to divergence. The curve of asset size has similar characteristics (Figure 2).The curve diverges from convergence to convergence, and the inflection point roughly occurred around 2009-2010. The curve change of the above-mentioned leading real estate companies is actually the epitome of the changes in the entire real estate industry. The meaning behind it is that, before 2009, the gap between the scale of business and the size of assets of national real estate enterprises is relatively small. After 2009, the disparity between real estate companies is growing.With the passage of time, the scale of the entire industry has become more and more serious, showing a strong and strong trend. According to statistics from Kerry, the sales of TOP10 real estate enterprises accounted for 8.16% of the total market share in 2009 and rose to 26.9% by 2018 (Table 7). The same indicators of TOP20, TOP30, TOP50 and other real estate enterprises are also showing an increasing trend year by year. In 2016, the sales volume of TOP200 housing enterprises accounted for more than 50% of the market share, reaching “half of the country”. As of 2018, the target of the TOP200 housing enterprises reached 74.3%. This means that, with 2009 as a turning point, the trend of the industry's strong Hengqiang has intensified, and the real estate market has gradually evolved from a completely competitive market state to a monopolistic competition and even an oligopolistic competition. The change in industrial structure is essentially started by the expansion of real estate companies' debt and the polarization of leverage. In turn, changes in the industrial structure have forced the real estate business to change its business strategy. As market concentration increases and competition continues to escalate, more and more companies realize that doing large-scale is the basis for survival.Further, after 2009, the competition logic between enterprises has quietly changed, from the product level to the capital level. Specific to the micro level, small and medium-sized housing enterprises are also faced with a strategic choice of “do not advance or retreat”.The so-called "in" - then leverage to do large-scale, enter the forefront of the industry to obtain entry into the new round of competition; "retreat" - then leverage to reduce the scale, increase profits, control risks. Due to the “magnitude of the hero”, a number of radically expanding housing companies have emerged in the real estate market. For example, the real estate companies in Guangdong and China have embarked on a fierce expansion with high leverage and high turnover. As shown in Table 8, since 2007, the asset-liability ratios of private real estate companies such as China Evergrande, Country Garden, Sunac China and Longhu Real Estate have soared from a minimum of 49.79% to over 90%. Real estate companies with rapidly rising debts have seen their sales scale, industry rankings and asset size rise rapidly.Looking back, the companies that have emerged from the real estate market in recent years have all expanded with “plus leverage”. In contrast, SOHO China has chosen a more conservative business.Since listing, SOHO China's asset-liability ratio has remained low (Table 8). Prior to 2012, its assets and liabilities lowest rate 37.68%, lower than peers in recent years housing prices 10% -20%; even 2007 - Acquisition of expansion during 2011, nor more than 62%. Asset-liability ratio and the radical compared to financial innovation in China, there is a gap up to 40 percent of SOHO China, said. As the commercial real estate company is different from residential real estate company, its sales model does not help it get a lot of non-interest bearing debt on the market, objectively, the performance was relatively low debt ratio on commercial real estate company overall. However, compared with the same commercial real estate company R & F Properties, SOHO China's asset-liability ratio is also lower than the former 20% -30%. Has remained relatively low debt ratio, meaning SOHO China's financial policy is quite conservative.Looking further, SOHO China seems to have its own conservative genes since its inception. In theory, SOHO China has enough financial space to do large-scale in the past few years. However, due to continued financial conservatism, the ability to “add leverage” was gradually lost. This business style has missed the opportunity for expansion. Of course, the so-called "difficult dilemma", both the advance and the retreat of the two strategic choices have their own advantages and disadvantages, applicable to enterprises with different endowments.For a fiercely expanding housing company, its operating risks are self-evident. If you don’t enter, you will retreat. For small and medium-sized housing enterprises that do not have the ability to “add leverage”, “de-leverage” becomes the best choice. In theory, there is an alternative relationship between business scale and profit size. Choosing “retreat” means giving up the scale expansion to ensure the profit is fat. According to Wind data, after 2015, SOHO China's gross profit margin reached 73.75% and increased year by year, with a maximum of over 78%. In contrast, the gross profit margins of “plus leveraged” companies such as Country Garden and China Evergrande have dropped from 30%-40% in the previous period to more than 20% in recent years. In the industry, Sunac China, which is known for its radicality, has a gross profit margin as low as 12%-13%. In the industry ecosystem passage of time, the business bottlenecks occasion, small room rate conversion strategy but inevitable.Reducing the scale and increasing profits, SOHO China embarked on a strategic line that was contrary to mainstream housing companies. Between the scale and the profit, SOHO China made a choice and became one of the housing companies that chose to “retire”. In a sense, SOHO China's choice of strategic contraction is both unexpected and reasonable.Its incredible strategic transformation from the outside world does not go beyond the scope of normal business logic. In fact, in mature real estate market, industry differentiation phenomenon is more evident, select "deleveraging" in the real estate business commonplace.Such as the Hong Kong real estate market, Sun Hung Kai Properties (00016.HK), Henderson Land (00012.HK), Cheung Kong Group (01113.HK),New worldOligarchs such as Development (00017.HK) have a large market, but the market has long-term existence of many small-scale real estate companies. For example, the “rental” real estate company, which is quite similar to SOHO China, is Hysan Industrial (00014.HK) and Hang Lung Group (00010.HK). According to Wind statistics, there are only 403 real estate companies in the Hong Kong stock market with only 20 operating incomes of more than 10 billion yuan, only 8 with operating income of 50-100 billion yuan and more than 300 with less than 5 billion yuan.The distribution of small and medium-sized and even micro-operating real estate companies constitutes a “long tail”. Referring to the above-mentioned industrial evolution trend, it is foreseeable that with the further concentration of the real estate market in China and the gradual evolution of the market structure, more and more small and medium-sized real estate enterprises will follow the footsteps of SOHO China. In the real estate market, there will be more and more “small (micro) companies with shrinking business scales, and the scale of operating income shows a “long tail effect”. Perhaps because the Hong Kong market has a high degree of recognition for similar companies, although SOHO China's transformation, although the scale of operating income has been greatly reduced, but the market value has not plummeted, or even rise. Its share price has risen from 1.66 yuan in 2015 to about 4.65 yuan per share in 2018. Its market value has been more than 10 years on the scale of more than 10 billion yuan. In 2017, it has rarely rushed to the peak of 23.587 billion yuan (Table 9). ).It can be said that the transformation of SOHO China is to some extent recognized by the market. Of course, compared with its peers, its market value performance is relatively stable, but it has been unremarkable. A number of more enterprising real estate enterprises have completed the cross-domain market value from tens of billions to 100 billion at the latest in 2017. Among them, the market capitalization of Vanke Group, China Evergrande, Country Garden and China Resources Land has been Up to 200 billion yuan. However, the development of the larger scale of R&F Properties, the market value has been hovering around 20 billion yuan for many years.SOHO China's market capitalization performance is not shocking, to a certain extent or related to its commercial real estate business. Missing the Golden Decade: The Cost of the Bubble Theory? Looking around the early development of the real estate industry, SOHO China's rise model is also more common, and it is the same as many private real estate companies' early development path. Wanda Group, Taihe Group, etc. all started with a series of explosive products, such as the “yard” of Taihe Group and the “Wanda Plaza” of Wanda Group.Why does SOHO China choose the opposite path to the fierce expansion of many mainstream real estate companies such as Wanda Group and Taihe Group? Is there a reason for the misjudgment of strategic judgment? SOHO China pointed out in its 2008 annual report that “the government plans to supply 990 affordable housing in the next three years, further increasing the surplus of residential supply, and further tightening the space in the residential market”. Since the bidding of “Guangqumen No. 15” in 2009, after being defeated by a nameless real estate company, Pan Shiyi seems to firmly believe that there is a bubble in Beijing's property market. As a public star, Pan Shiyi has repeatedly spoken in public to see the Chinese property market, not only to persuade young people not to buy a house, but also to talk about the negative impact that property tax may have on the property market. SOHO China in 2013 Annual Report mentioned that "there are some concerns about our residential real estate industry. On the one hand the rate of return continue to decline, on the other hand is still the king have been born, which are away from the normal laws of the market, this phenomenon Second and third-tier cities are particularly obvious." In fact, in 1998, "the abolition of welfare housing allocation", started in 2004 after the "auction", the national real estate market, the rapid outbreak.Although springing up all over the real estate business, but relative to the huge real estate market demand, market supply is still quite inadequate, product demand, the real estate industry usher in the "golden years." Compared with the leaps and bounds of real estate enterprises, SOHO China's entrepreneurship has only taken root in two first-tier cities in Beijing and Shanghai, and has never been involved in the third city.Surrender residential real estate projects "New Town" after the development is completed, SOHO China insulated from the residential real estate market, but then did not return to the field of residential real estate.Even in 2012, SOHO China announced restructuring - "persist in the north-tier cities development", has never entered Guangzhou, Shenzhen market. Looking back at the real estate industry, from the first and second line to the third and fourth tier cities, or from the third and fourth tier cities to the first and second tier cities, from residential real estate to commercial + residential, industrial + residential real estate expansion, is the common expansion of real estate leading enterprises path.Obviously, the evolution path of SOHO China runs counter to the mainstream of the industry.Its unique strategic positioning will allow China's huge residential real estate market and vast second- and third-tier cities to hand in hand. SOHO China and Vanke Group are rare real estate companies with high profitability and low debt ratio. Unlike SOHO China, Vanke Group has always maintained a full strategic tension. Vanke Group, which was listed in 1991, has market operations extending from Beijing, Shanghai, Shenzhen and other cities to the provincial capital cities of Wuhan and Tianjin. By 2003, Vanke entered 11 large and medium-sized cities across the country including Beijing, Shanghai, Wuhan and Tianjin. In 2010, after China Vanke crossed the one hundred billion threshold, and quickly enter the commercial real estate market. Around 2011, Vanke basically covered most of the mainstream core cities in the country. Then the company continued to rise in the number of cities, and its national layout continued to sink from the first- and second-tier cities to the third- and fourth-tier cities. Before 2006, China Evergrande was just a regional real estate company with sales of less than 2 billion yuan. After 2006, Evergrande entered the fourth “three-year plan” and began to formally implement the strategic plan for expanding to the whole country. In 2007, Country Garden, which started in the third- and fourth-tier cities in Guangdong Province, also expanded its strategic layout nationwide. Similarly, R&F Properties, established in 1994, has been deeply involved in the Guangzhou market. By 2007, it has fully entered 11 cores in Guangzhou, Beijing, Shanghai, Tianjin, Xi'an, Taiyuan, Chengdu, Chongqing, Shenyang, Hainan and Huizhou. The city implements a national strategic layout. Wanda Commercial started in Dalian and has developed in Chengdu, Changchun and Ningbo. In 2006, Wanda entered Beijing and Shanghai from second- and third-tier cities, and built Wanda Plaza in Shanghai Wudianchang and Wanda Plaza in Beijing CBD. In December 2010, Guangzhou Baiyun Wanda Plaza opened, and Wanda entered three first-tier cities across the country. Up to now, Wanda has 254 Wanda Plazas in the country, which are scattered in major cities. Taihe Group, which has become a hit with “Yuanzi” products, not only expands its business from Beijing to various urban areas and the Pearl River Delta in Fujian, but also extends its residential real estate business to commercial real estate. It has leaped forward and quickly emerged from the market. It can be said that the history of the growth of each real estate leading enterprise has a bright red and vivid story of siege and barbarism.While SOHO China is independent of its narrow market, its strategy is not conservative, or it is related to its lack of understanding of the growth of China's real estate industry. Why is it conservative: the active choice of the helm? The business logic of a company is often related to the philosophy behind the helm. In a company operated by a husband and wife partner, the dual status of the husband and wife as a partner, and the relationship between them, will have a profound impact on the company's business style. Pan Shiyi and Zhang Xinzhi in SOHO China should be no exception. Pan Shiyi is one of the earliest real estate developers.In the early 1990s, Pan Shiyi’s “Beijing Wantong New World Plaza” jointly developed by Vantone Industrial and Feng Lun was called a milestone in the history of Beijing’s real estate development. As general manager of Vantone Industrial, Pan Shiyi, real estate circles in the capital quite well known. According to Zhang Xin's narrative, the two get to know the business because, in 1994, Zhang Xin and Pan Shiyi divorced twice the flash marriage. Contrast has never been abroad, not only do not speak English, Putonghua and even mingled with a sort of Tianshui, Gansu accent Pan Shiyi, a master's degree in economics at the University of Cambridge Zhang Xin, home in Hong Kong, Goldman Sachs (GoldmaonSachs), travel TravelersGroup is engaged in investment banking and is extremely interested in philosophy and humanities. It is a social elite in the secular sense. The duo is a "golden partner" with complementary talents. The following year after the marriage, on September 3, 1995, Pan Shiyi established a red stone industry and became a legal representative and general manager. According to Pan Shiyi, the "red" in "Hongshi Industry" was taken from Hong Hong's "Hong", which is the "stone" in his name. At that time, the company originally planned to be a partnership between Hong Huang and Pan Shiyi, each holding 50% of the shares. However, before the official registration of the company, Hong Huang said that his mother Zhang Han was sick and needed financial treatment. Therefore, Pan Shiyi "alone began to start a business alone." After the famous door, Chen Kaige’s ex-wife and other labels, Hong Huang is also a friend of Zhang Xin. SOHO China official website said, "SOHO China was established in 1995 and was founded by Pan Shiyi, Chairman of SOHO China, and Zhang Xin, CEO." The introduction to Zhang Xin is “She and her husband Pan Shiyi created SOHO China in 1995”. In the introduction of the annual report in 2007 and beyond, the caliber is also "Zhang Xin co-founded the company's predecessor company Hongshi Industry in 1995." However, from the industrial and commercial information, Hongshi Industrial holds 85% of Pan Shiyi's shares, and former SOHO China President Yan Yan holds 15%. Zhang Xin’s name is not recorded in the shareholder information of Hongshi Industrial. At least from the bright side, there is no indication that Zhang Xin has a shareholding in Hongshi Industrial.Wind and the company's annual report claim that "Yuyan joined the company in December 1996." In March 2018, Xi Yan, who started the business together with Pan Shiyi, retired as the executive director and president of SOHO China, and announced the official announcement of his resignation. The following month, she joined the Blackstone Group's Asian Real Estate Department as the managing director. In August 2001, Hainan Hongshi Industrial Co., Ltd. was established, with a British Virgin Islands company SOHOCHINA holding 90%, Beijing Search Hou Property Management Company holding 8.1%, and Hainan Xiaoao Group holding 1.9%. The company is headed by Pan Shiyi, and Zhang Xin is one of the three directors. The holding status of SOHOCHINA (BVI) is unknown. From the perspective of the shareholding structure, Pan Shiyi at that time, the control of Hongshi Industry is self-evident. In March 2002, SOHO China was formally incorporated. According to Pan Shiyi’s public statement, his several trips to the United States led to his deep thoughts on the Internet, so he changed the company he founded into SOHO China. In Pan Shiyi's view, SOHO China is another new starting point for its real estate business, and it is a continuation of the business of Hongshi Industry.Zhang Xin was not aware of whether SOHO China holds shares at the time. But it can be concluded that Pan Shiyi still has the actual control of the company. This pattern has changed due to the listing of SOHO China. Prior to listing, Pan Shiyi, SOHO China the majority stake held by Hong Kong residents transferred to the status of Zhang Xin, there are claims that the move was to circumvent the constraints on foreign companies listed on the "No. 10." The listing of SOHO China is in fact led by Zhang Xin. Pan Shiyi once said at the listing celebration dinner, "The listing has always been Zhang Xin's wish, but it does not matter to me." Wind data shows that Zhang Xin still holds 31.97% of SOHO China directly through a Cayman Islands company called Capevale Limited, and holds 31.97% of SOHO China through Boyce Limited, a company of Capevale Limited, holding a total of 63.93% of the shares. Become the largest shareholder of SOHO China (Figure 3).From the perspective of equity relationship, the legal representative of SOHO China and the chairman of the board of directors are Pan Shiyi, but from the eve of the listing to today, the actual controller of the company is Zhang Xin. In the management of the company, two have gone through the process of rebalancing. According to public reports, at the beginning of the venture, Pan Shiyi had high hopes for Zhang Xin’s capital operation ability in the background of “Wall Street”. Zhang Xin also tried to transform the Chinese company with the economic theory he learned overseas. However, Zhang did for about two years due to the financial crisis of Singapore Investment abortion, disappointed Pan Shiyi capital works on so-called "Wall Street".Two business elites with different backgrounds, no one can convince anyone, and the balance is gradually being broken.In 1996, in order to develop the “Modern City” project, Pan Shiyi won the land of the Dawang Road Red Star Erguotou Winery, but its ready-made funds did not support the project. The two sides have erupted a fierce conflict. The contradiction in the operation of the company directly affects marriage. According to Zhang Xin, "The two people lived and worked together 24 hours a day, almost every day, and they were in a state of deep heat all day." She used to be "Why did I choose Pan Shiyi?" "The most fundamental problem is that we have confused the relationship between husband and wife and partners. As a result, the husband and wife are not like husband and wife, and the partners are not doing well." In the end, after intense emotional struggle, the two sides chose to make concessions in marriage. At the same time, Zhang Xin withdrew from the company's operations, returned to the life of the housewife, and gave birth to two sons - Pan Rang and Pan Shao. Until the beginning of this century, Zhang Xin returned to work. At this time, the appropriate value of Hongshi Industrial switched to SOHO China. The SOHO-style residence is obviously good at Zhang Xin, who has rich experience in the life of the overseas middle class. The strategic positioning of SOHO China has just laid the foundation for Zhang Xin's return. And this has a clear division of labor for "couples" - Pan Shiyi is responsible for the overall operation of the project, including land acquisition, sales and promotion; Zhang Xin is responsible for the project architectural design.Perhaps as the company's operations become mature and the scale is large, the division of labor between the two parties is an inevitable choice for the company's standardized operations. This kind of institutional design also embeds the genes that SOHO China is going to burst into red in the future. In 2002, the building known as the avant-garde design concept - "the commune at the foot of the Great Wall" won the Oscar Award for the construction industry - the Venice Architecture Biennale "Architectural Art Promotion Award". The main designer of the project, Zhang Xin, is known as the “provider of innovative architecture”. Zhang Xin said, "This makes Pan Shiyi convinced that he will not accept it." The following years of story are as mentioned above, SOHO China's rapid rise. Objectively speaking, Zhang Xin's leading SOHO products are advancing by leaps and bounds.After the listing, SOHO China, "Zhang Xin-style" brand is becoming more and more obvious. Due to the difficulty of taking the land, starting in 2007, SOHO China began a major road to M&A expansion. In essence, SOHO China's M&A expansion is the operating routine of international private equity funds, and the leader behind it is Zhang Xin. The management style of SOHO China since then is undoubtedly influenced by the style characteristics of its actual controller Zhang Xin. According to public reports, Zhang Xin’s parents are Chinese immigrants living in Myanmar, and her mother once gave Burmese translations to Zhou Enlai and Deng Xiaoping. However, his parents later divorced in the "Cultural Revolution." At the age of 14, Zhang Xin followed her mother from Beijing to Hong Kong. They started a new life with no penny. Zhang Xin later found a job in a clothing factory and lived a hard life. Until 1987, Zhang Xin received a scholarship to study in the UK and later entered Wall Street. Zhang Xin has a unique understanding of society in the face of the counter-attack of the financial elite of the Hong Kong community to Wall Street.In a subsequent media interview, she said that she did not like Wall Street's "copper smell", full of swearing, poor love and wealth, and profit is king, all inverted values. The highlands that countless elites dream of are her "the ugliest place in life." Or such a process of growth, Zhang Xin eventually became attached to the Bahá'í religion. In 2005, Zhang Xin converted to the Bahá'í teaching. As early as 2005, there were rumors that Zhang Xin took Pan Shiyi to Israel to Haifa and converted to Bahai. In October 2010, Pan Shiyi confirmed in his blog that he did indeed believe in Bahá'í teaching, and this move was influenced by Zhang Xin. In an interview with FT中文网, Zhang Xin said, “Baha'i teaches me to reinvent myself”... “No (it), I may blindly pursue profits at all costs. But now I will make a choice”. So, is the de-leverage of SOHO China the result of the active choice of the helm based on faith? Back in 2012, how do they choose? Life is full of choices, and companies are even more so. Among the real estate companies that are striving to climb up, SOHO China's choices are quite different, which also brings huge differences in growth. But nowadays, when many of the previously leveraged real estate developers are facing the pressure of selling assets and finding new growth points in order to "live", Pan Shiyi, chairman of SOHO China's board of directors, has no leisurely feelings like "hands-on shopkeepers. "In these years, photography, book publishing, charity, writing Weibo, endorsement advertisements, starring movies, cross-border buns, and TV programs... Pan Shiyi’s non-stop trials of various fresh ways of playing, the most desirable lifestyles of the general public Did not fall.On Sina Weibo, today's headlines and other online platforms, Pan Shiyi's portraits of people such as Ma Yun, Liu Qiangdong, Li Yanhong, Ding Lei and Li Silian can be seen everywhere. Of course, the feng shui of Wangjing SOHO will occasionally bother him, after all, rent-collecting companies have pain points. As a Bahá'í who “focus on family and conceptual traditions”, Zhang Xin also set a house rule for herself – trying to avoid most work-related gatherings, meetings and business social activities. The Davos Forum is her only fixed every year. Attendance activities. On January 23, 2019, Zhang Xin appeared in the Davos Forum as scheduled, and talked with Fox News host MariaBartiromo about the Chinese economy and Sino-US relations. As a "frequent guest" of the Davos Forum, Zhang Xin, who talked eloquently, seems to have been used to this kind of life. However, although Pan Shiyi and Zhang Xin are still shining in the hearts of netizens as Weibo celebrities, it is difficult to compare with the scale of their own company SOHO China or the scale of personal wealth. Now it is difficult to compare with Xu Jiayin, Wang Jianlin and Yang Guoqiang. I wonder if there is a gap in the hearts of the two?If you return to 2012, in the face of leverage and leverage, residential and commercial real estate, first- and second- and third-tier cities, will the two choose to do the same subtraction? Seven market signals of huge amount of social integration: the turning point is approaching? ICBC wants to get a brokerage license? Rumors are coming again! Which type of brokerage is most affected? false alarm! MSCI postpones the conversion of the two Chinese indices. Research shows that it is very unexpected to send resumes of overseas and local college students to 260 HR interview notices.